Traveling domestically or internationally with your kids can be a rewarding experience that makes life-long memories for everyone. Leaving behind daily routines and boring rituals, and spending time together in new places is an experience you are certain to never forget. If the concept of traveling as a family seems a bit scary, you're not alone. All of the usual worries related to travel become amplified when kids are involved. To ensure that your vacation goes off without a hitch and that you find fun places that are family-friendly, look to family travel blogs. These blogs can help you to save money and they provide inspiration, helpful tips, and ideas for your next family getaway. 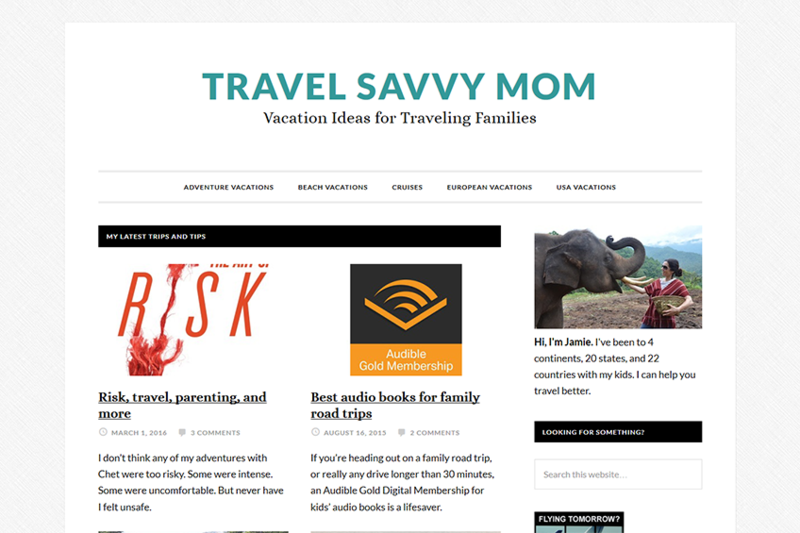 Travel Savvy Mom is authored by Jamie Pearson, who is a writer and mother of two children. While she has traveled extensively with and without her family to 4 continents, 20 states, and 22 countries, she is committed to helping others have great trips with their kids. She writes parenting essays and family travel articles for businesses such as Vail Resorts and Homewood Suites, but she also puts a personal and real touch on her adventures. Her funny yet real tips include never leaving home without peanut butter, not being afraid to put any child in a stroller and bringing plenty of new toys for keeping kids amused. This blog is a mix of personal experiences and tips for destinations around the world as well as sidetracked adventures in which she describes fun detours that are off the usual beaten path of tourists and vacationers at particular destinations. By reading her blog, you will get honest and useful advice much like you would receive from your best friend. Her sensible and realistic advice can help you to find great travel gear, kid-friendly hotels, all-inclusive family-friendly resorts and handling unexpected hiccups at the airport. Gone with the Family is written by Lisa Goodmurphy, who is a mother of two and has been traveling around the world for over 15 years with her kids. Since 2011, she has been blogging about her trips and helping others to make inspired plans for exploring the world with their school-age children. This blog has something for everyone, including those who need inspiration and parents preparing to head to a particular destination. She blogs in real-time and then creates a summary trip report with links to all of the places that her family visited. You will get news, tips, and anecdotes about how to keep even choosy children happy while traveling. 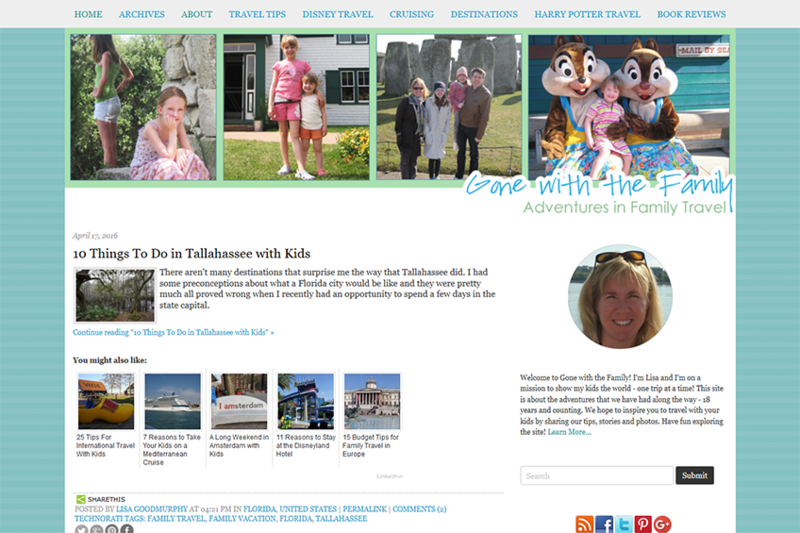 Launched in 2009 by Beth Blair, Jennifer Miner, and Kara Williams, this blog follows professional travel writers who are also moms of children aged 1 to 16. These ladies write about a variety of trips, including girlfriend getaways, romantic weekends, road trips, and family vacations. 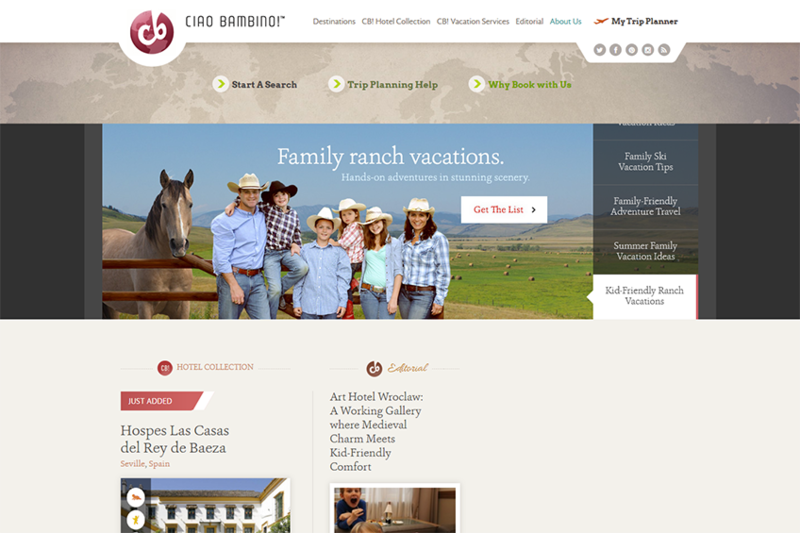 They detail the hotels, resorts, and destinations that they have experienced, and most of these are family travel destinations with plenty of outdoor fun and local attractions. This blog also helps you to learn more about choosing gear, comfortable clothing, healthy snacks and other useful travel advice. They help to inspire a sense of wonder and curiosity about the world and show you how to help get your kids inspired and excited to learn about the world. 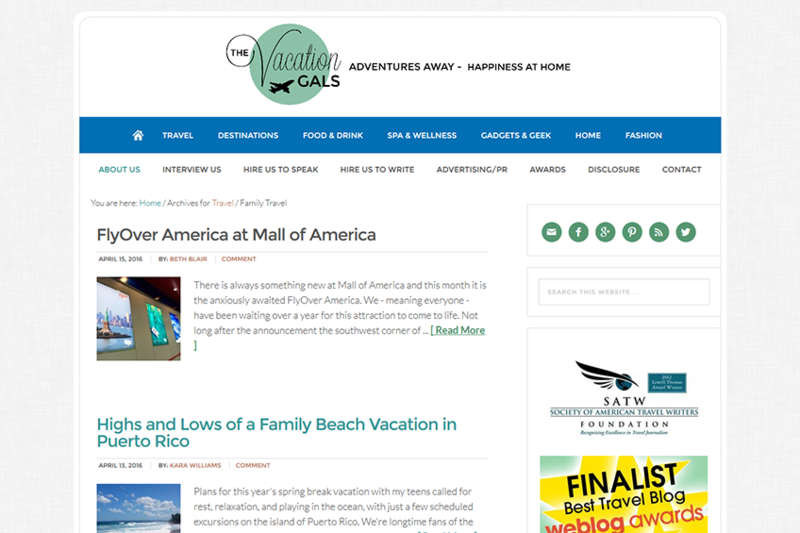 Their blog covers destinations around the United States, Canada, Mexico and the Caribbean Islands. Written by moms Katja and Victoria, this family travel blog is for those who are seeking to go beyond the traditional family vacation. Both of these mothers of two love adventure and want to show their children the world, which is why they inspire others on how to travel around the globe. They share insights on hotels, airports, and attractions as well as their own personal experiences while visiting a variety of destinations. These women have visited some of the most beloved and beautiful places on the planet with their children, from the mountains of Nepal to the tropical paradise of Machu Picchu. This blog is filled with resources for families who want to see the world along with their kids. Writer Jessica Bowers is a mom of four boys who have not slowed down her international travels. Her blog highlights the adventures she takes along with her kids and inspires others to push the envelope as well. She highlights family-friendly locations and shares funny anecdotes. Written in the style of a diary, this blog shows how one middle-class family travels the world on an average budget, fulfilling their dreams and continuing to educate their kids all at the same time. Parents Stuart Wickes and Kirstie Pelling have three kids and a mission to demonstrate to others how adventure can be key to family vacations. This family enjoys physical activities and centers their trips around snowboarding, geocaching, cycling and skiing. 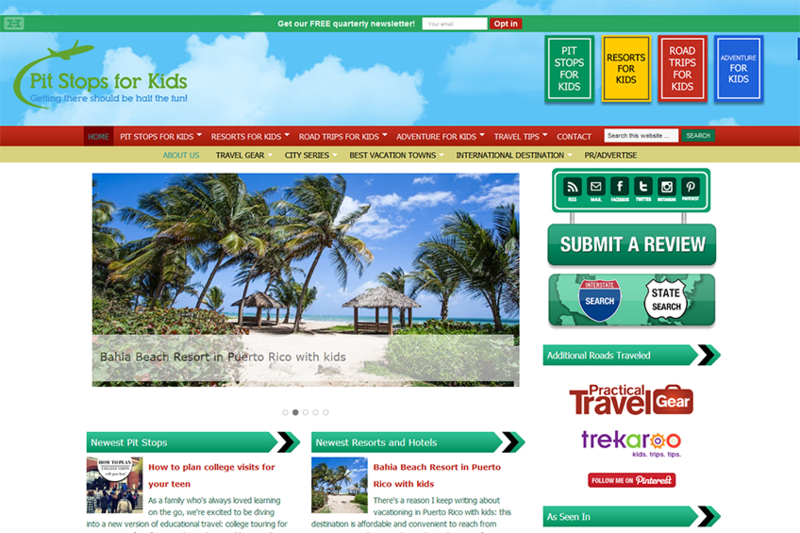 They have over 10 years of experience in adventure and outdoor vacations with their kids. They provide links to great destinations and attractions in the United States and around the world. The blog includes vacations and trips for a weekend, a week, a month or longer. If you want to get your family active, this should be your first stop for vacation planning and inspiration. Image courtesy of Ciao Bambino! Writer Amie O'Shaughnessy is a mom of a boy and blogs about how traveling as a family does not mean that you have to sacrifice your expectations or standards for fun, adventure and excitement. 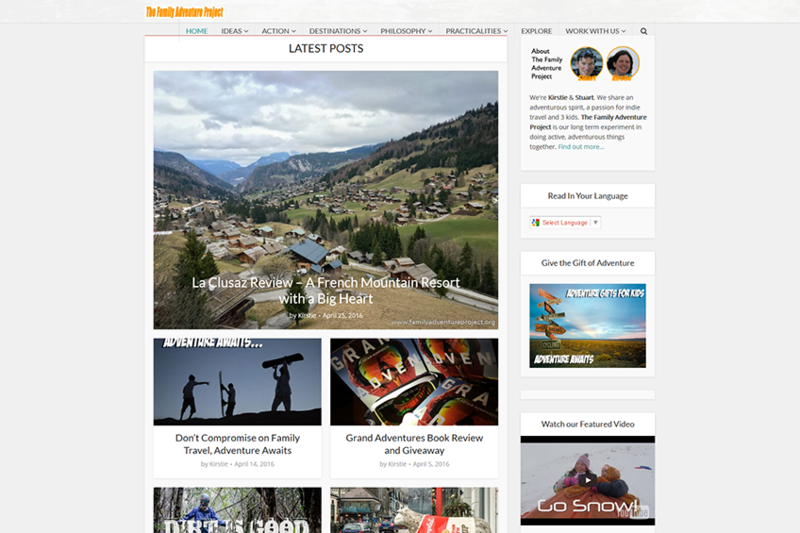 This is an award-winning blog and is filled with comprehensive hotel reviews and destination overviews for all ages and preferences. The reviews cover destinations in Europe, the Caribbean Islands, Hawaii and other popular vacation destinations. The advice is family focused yet personal in its approach. The lists are curated so that you can easily find family-friendly hotels and resorts around the world to help plan your next vacation. 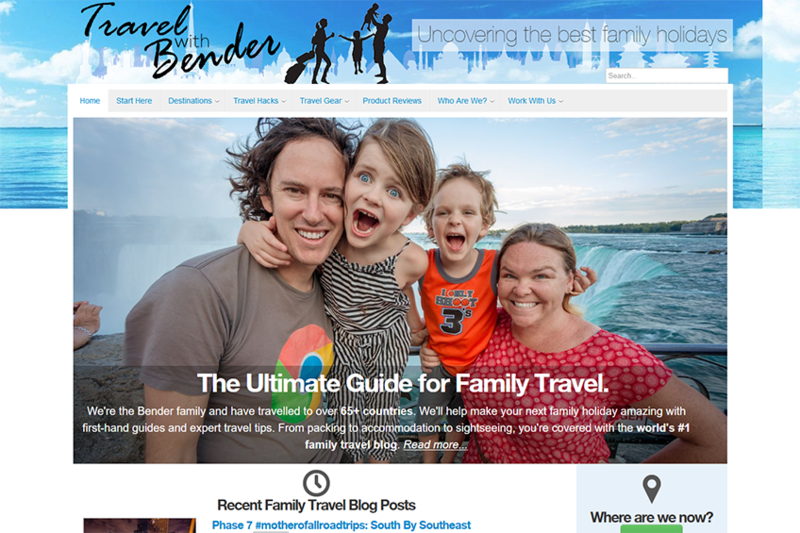 Owner Erin Bender is a mom of two from Australia who has explored more than 40 countries with her family. This blog is filled with ideas on places to go and things to do in exotic destinations from Thailand to Tel Aviv. There are informative travel hacks and tips on how to get the best hotel rooms as well as how to enjoy an open-ended trip around the world without too much advance planning. The family has tried out a range of accommodations such as hostels and world-class hotels and has participated in activities from cliff climbing to dancing in Irish parades with leprechauns. 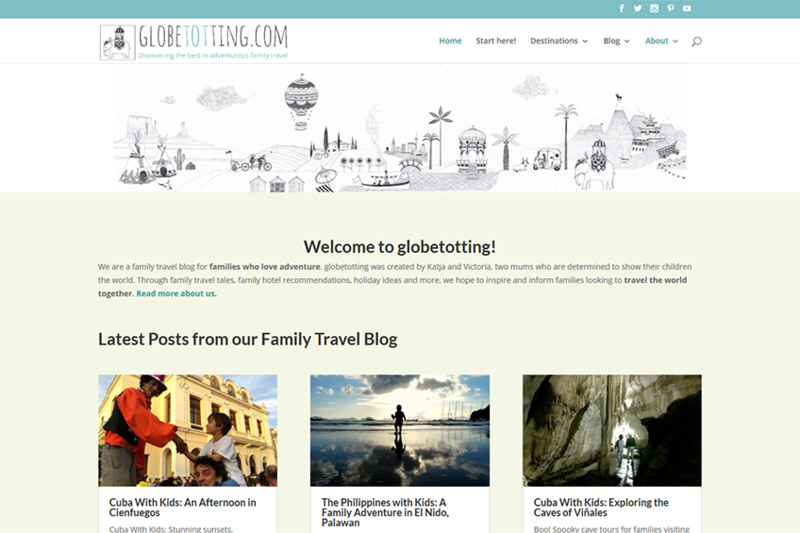 The goal of the blog is to help you gain first-hand experience and entertaining information about how to have a great worldwide trip with your kids. 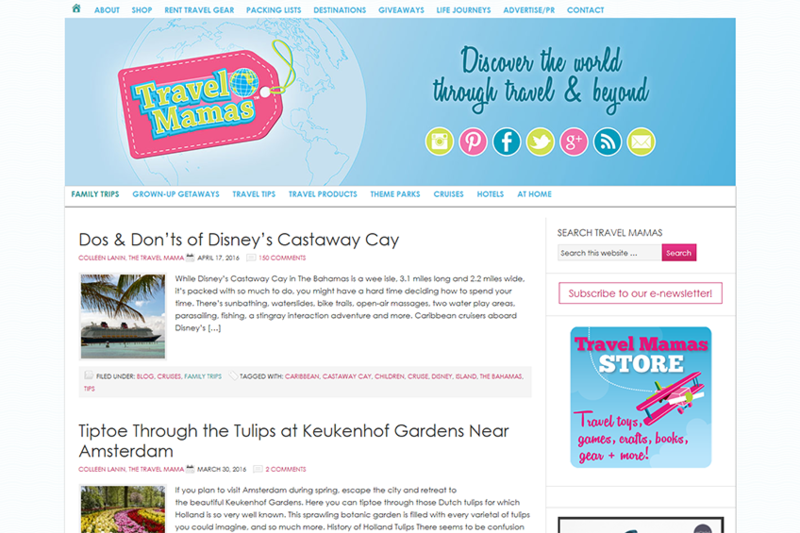 Travel Mamas is a blog owned by Colleen Lanin. As a mom of two, she helps families seeking a break from routine and who want to experience new cultures, foods, places and ideas. 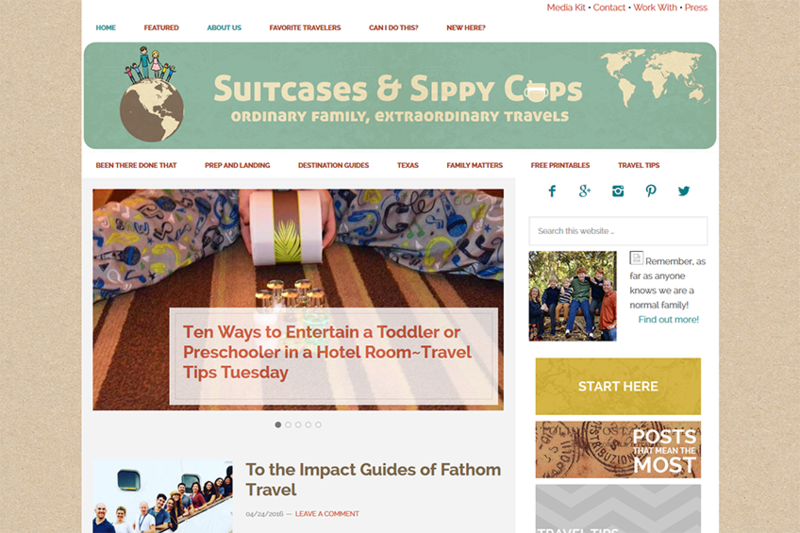 The blog hosts a community of moms and dads who want to share their experiences of traveling with young children and who love seeing the world. You will get packing lists, funny stories, travel tips and even giveaways on this insightful blog. The blog also shares stories from parents, grandparents, and caregivers traveling with children. There are occasional topics on adult-only getaways like ladies' vacations and couples retreats. With five regular contributors from North America and Europe with children ranging in age from infant to teenagers, each of the writers delivers a unique voice and perspective about traveling with children, connecting with others and seeing the world. Blogger Amy Whitley, a mom of three, writes about how to have fun and educational pit stops while engaging in family adventures. This blog covers resort reviews, destination reviews and general travel tips for people taking a family vacation. There is also an active community of parents who share their own reviews of local attractions and pit stops on road trips so that you can learn from their adventures and missteps along the way. The community's goal is to share fun detours and out of the way spots for the whole family to enjoy. Their philosophy is that getting there should be half most of the fun. Traveling with your children can be a memorable, hectic and wonderful experience all at once. While taking a trip with young children may seem like a crazy idea, you can take your time and enjoy yourself while creating memories that your kids will tell their own children and grandchildren in the future. These blogs can help you to avoid common pitfalls and can lead you to experiences and destinations that you might not have otherwise considered for a family trip. 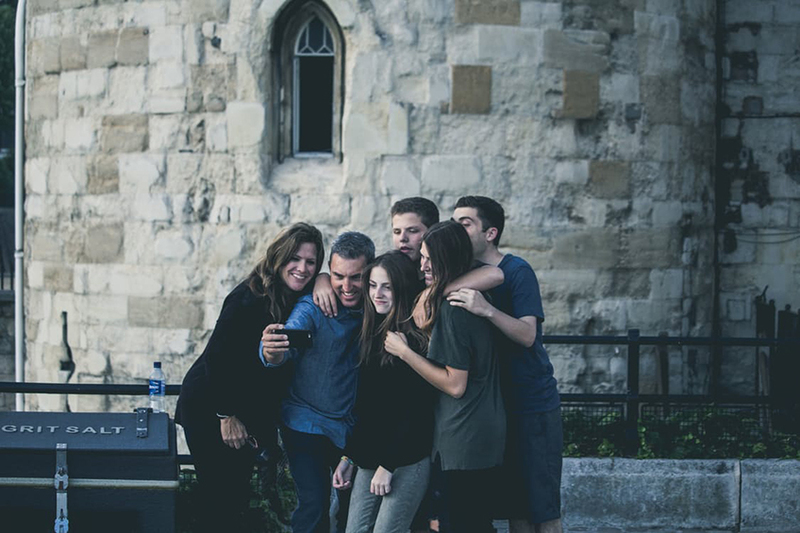 No matter whether you are traveling as a family for the first time or the hundredth time, these blogs deliver helpful, realistic and entertaining advice that you can put to use on your next family trip with children of any age.